A bonus mini special - here is Darren (Andrew River) and his work experience diary for Dave Benson Phillips. Featuring Dave Benson Phillips and James Podmore (Ryan Marten). And some gunge. Watch here. 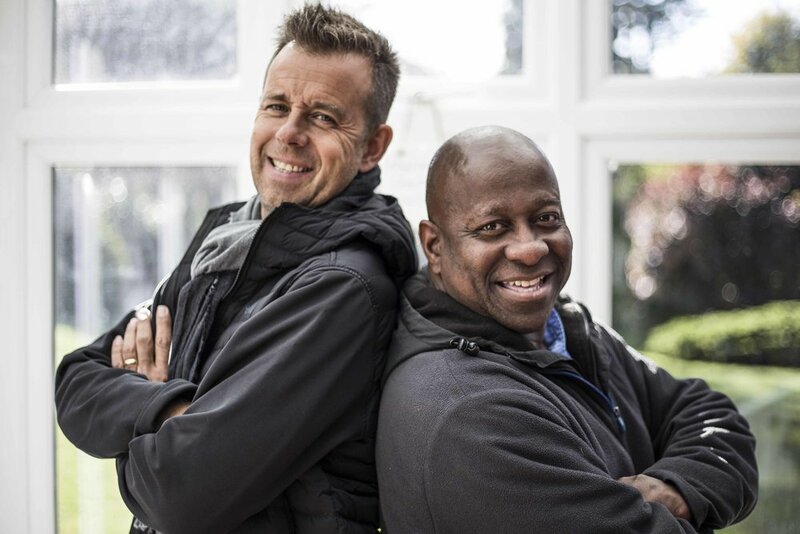 Dave is interviewed by Getting Back with Dave Benson Phillips' creator Andrew River for a peak into who is the real Dave Benson Phillips. 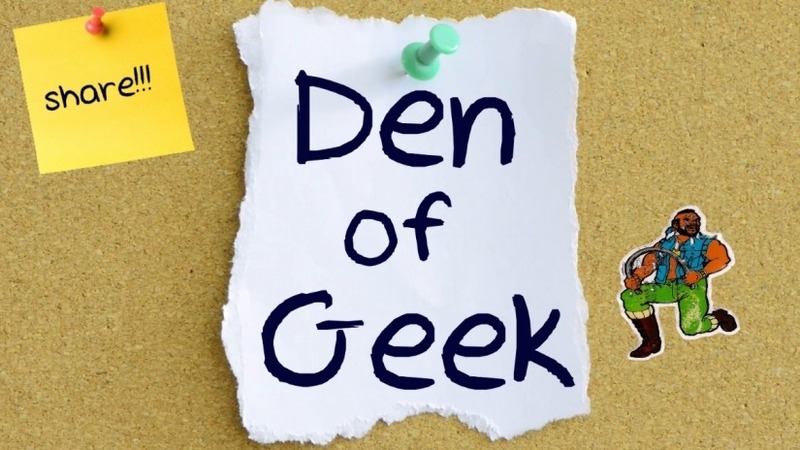 We're thrilled to get a lovely mention on Den of Geek by Jenny Morrill who lists the show as a recommendation to check out. Dave Benson Phillips' work experience boy Darren does the #IcedBunChallenge - the latest most pointless challenge on the internet. People have started to join in the fun with us spoofing viral challenges by making their own versions. Join in too with the hashtag #IcedBunChallenge and link to our videos (cough cough to draw people to watch Getting Back with Dave Benson Phillips). Can we make Ryan's #IcedBunChallenge into an actual thing on the internet? Probably not. But we can make it into a smallscale thing if you join in. The aim is to make a parody lame challenge where people nominate each other to eat an iced bun. And optionally support their favourite local bakery. Simple as that. Just has to be one iced bun - we don't want anyone getting ill. The idea is for everyone to be in on it, doing a lame internet challenge stripped of a worthy cause. It won't go viral but it's fun and by sharing the video it introduces people to the webseries which is the real point of it. So to join in, share this video https://youtu.be/IVr-OGVVLbc with #IcedBunChallenge. Here is a handy introduction to the world of Getting Back with Dave Benson Phillips from simpleton Darren, work experience assistant to Dave Benson Phillips aka Andrew. As part of the additional content for the webseries, we have recorded some spoof in character vlogs from Ryan #Ryano Marten who is managed by Dave Benson Phillips in the series. Performed by James Podmore, written by Andrew River with James improvising too. They will be available on this page. They show Ryan in his vlogging mode, getting things wrong and you can see why he doesn't make the level of success he sees himself deserving. As Ryan says in the videos: like, comment and subscribe. 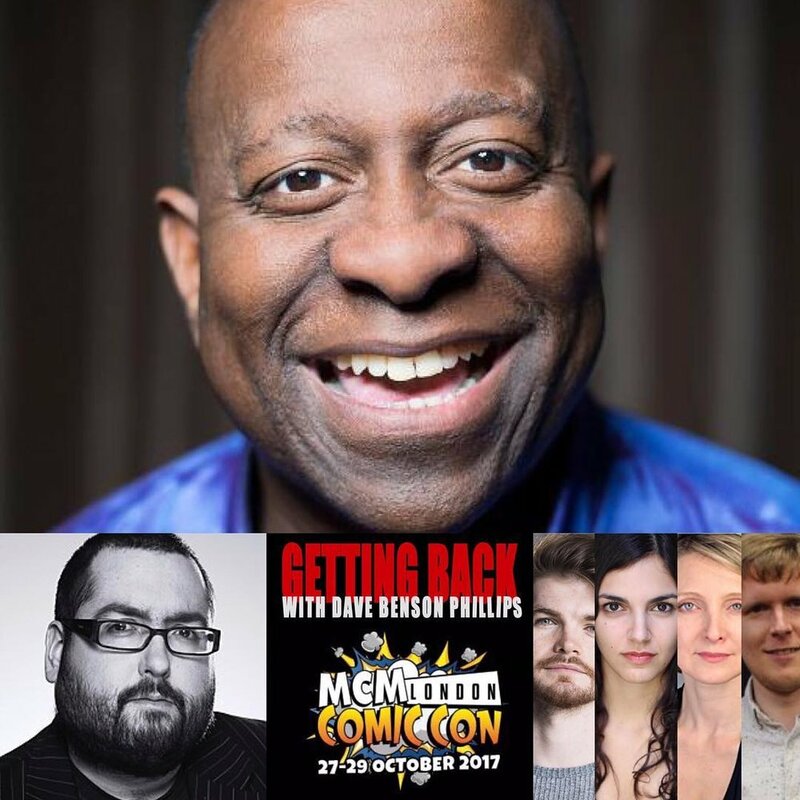 A chance to see the full video of one of Getting Back with Dave Benson Phillips at ComicCon - definitely worth watching as DBP is on top form. Panelists are Andrew River (creator/writer/co-director/editor/producer and Darren) and Marysia Trembecka (Pat Sharp). The moderator is Rochelle Dancel (VidFest). Watch with the captions on as the sound isn't great! We've teased you long enough... Yes TV and radio legend Pat Sharp is in the finale as more than just a blink and you'll miss it cameo as he is in Episodes 1-4. But as with all things Getting Back there is a twist. Remember back to the Christmas teaser, Dave opens to door to Pat Sharp... who is a woman. Do subscribe to the YouTube channel - there are plenty more treats to come even after Episode 5. Please subscribe to our mailing list because if we come back to make more of this series we will need your help. Coming to MCM Comic Con 27-29 October at the Excel, Royal Victoria Dock? Come and meet Dave and the gang in the Vidfest section- including Ewen MacIntosh from The Office! Speakers: Dave Benson Phillips, Ewen MacIntosh (Splish), Andrew River (Creator and Darren), Stewart McCheyne (Brian) and Ana Torre (Mrs Benson Phillips). We also have a table where people can meet Dave and we'll be telling people about the series. Read more about it here. Tickets here. Please note all speakers subject to work commitments. 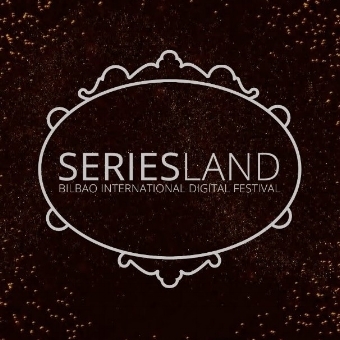 We are thrilled to announce that Episode One is an official selection screening at Bilbao Seriesland (previously called Bilbao WebFest). The international festival in the heart of the beautiful Basque Country is on between 24-27th October and you can check out the website for the schedule. Episode One is captioned in Spanish for the festival. 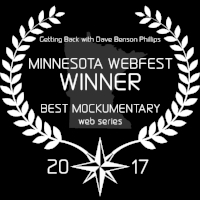 We are delighted that Getting Back with Dave Benson Phillips won the Best Mockumentary award at the Minnesota WebFest on 30/09/17. Well done to all the cast and crew of the series and thank you to the Festival for screening the pilot and for the lovely award. Episode Two: The Gunge Enthusiast is now online. Watch it all here. We are delighted to announce the brilliant Ewen MacIntosh, best known for his role as Keith in The Office, guest stars in Episode Two. We won't give anything away about his role yet. Episode Two will be online on 1st October 2017 on the YouTube channel and embedded on the Watch page of this website. There's regular content now appearing on the YouTube channel on Sundays and when sometimes there's an extra video on Thursdays. A complete episode will be out every three to four weeks and there's a plethora of outtakes and specially made material in between. Go subscribe! 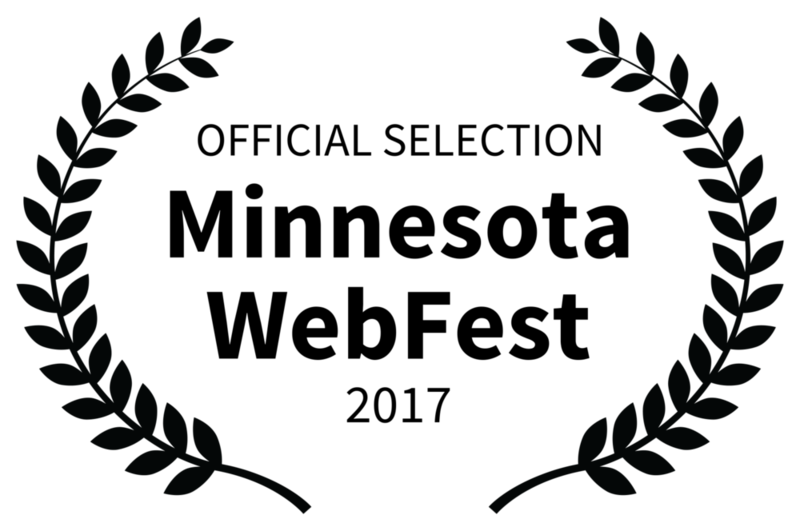 We're thrilled Getting Back with Dave Benson Phillips has been selected to screen at the Minnesota Webfest on 30th September 2017. It's wonderful to be included alongside some other great shows. If you're in the area register now for tickets and more information can be found on the Festival's website. 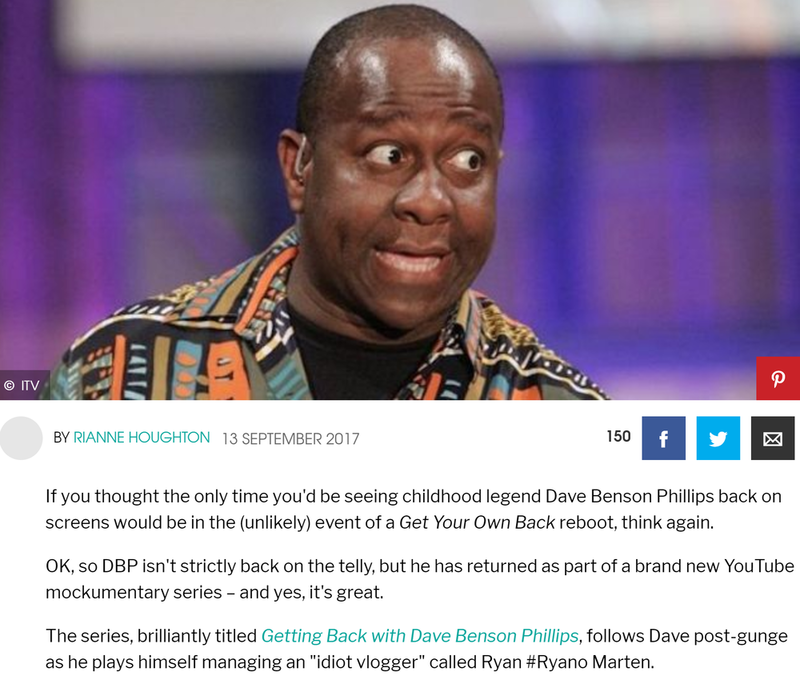 If you're on this website, you probably know that after a lot of hard work from all involved, Episode One of Getting Back with Dave Benson Phillips is out now. We are delighted that British Comedy Guide has done a brilliant feature on the series here and Digital Spy has given us a lovely write up. Dave appeared on Ian Boldsworth's show on Fubar Radio to discuss the show and life in general. A video of part of it is below and we recommend downloading the full podcast version here. It was a brilliant interview and we'd love to go back on. After our full house screening in London eariler this month, we're doing an impromptu low key screening and Q&A on Saturday 2nd September at the Black-E, Liverpool. Come along for a sneak preview of things to come and a chance to ask the creator and directors questions. Tickets are free but need to be obtained here. We screened a couple of episodes with a Q&A on Tuesday 15th August 2017 to a packed audience in Islington. Watch a dimly lit Facebook Q&A here. We are delighted to announce that Getting Back with Dave Benson Phillips Episode 1x01 has been selected be screened as part of the Pilot Light TV Festival. 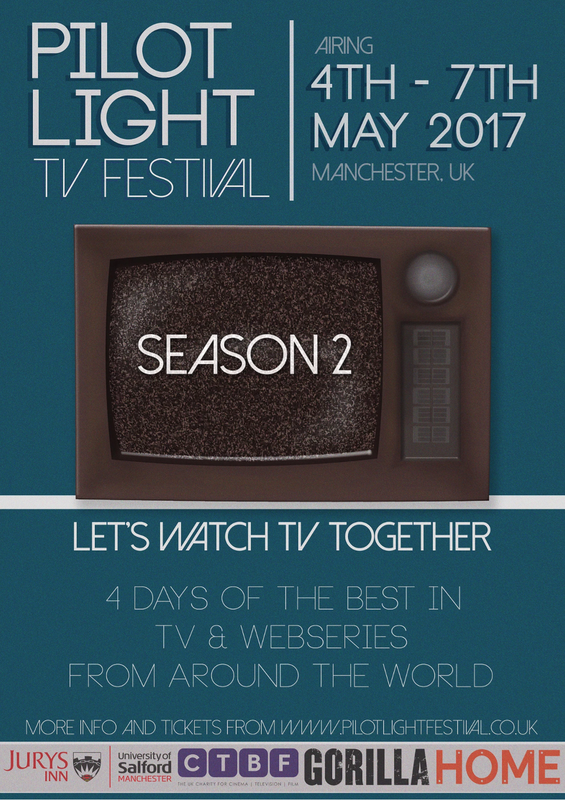 This is an exciting festival celebrating TV and webseries from across the world. We are in the 'New Comedy Heroes' section on 5th May 2017. All the details are here.